An amateur photographer has captured the dry, barren, Sahara desert in an unlikely situation: covered with a white layer of snow. The Sahara is the largest hot desert in the world (technically, the Arctic and the Antarctic are also deserts, and they’re both larger). The average high temperature exceeds 38 to 40 °C or 100.4 to 104.0 °F and sand temperatures are even higher – though nights are much colder. However, it is a myth that the nights are cold after extremely hot days in the Sahara and overall, average temperatures range between 13 °C or 55.4 °F and 20 °C or 68.0 °F. Needless to say, precipitations are extremely scarce and snow is almost a myth. 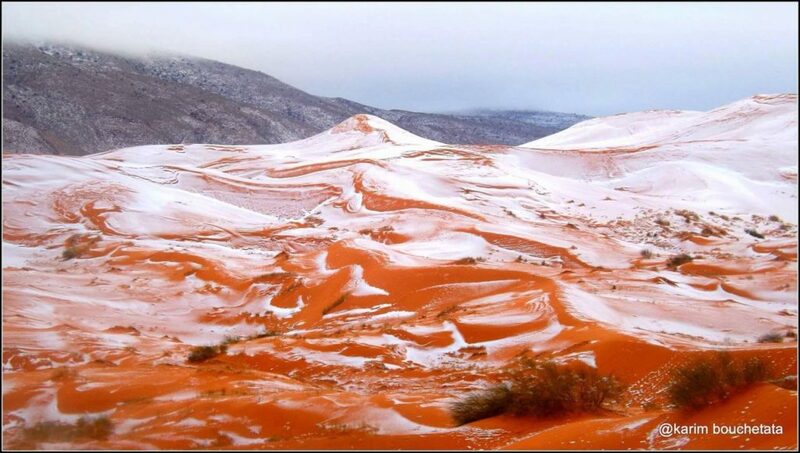 In fact, it’s only the second time in living history it snowed in the Sahara. 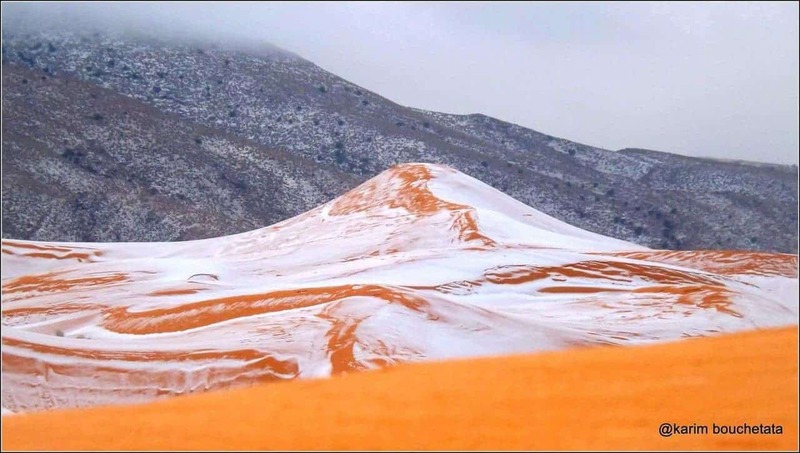 Amateur photographer Karim Bouchetata captured the rare phenomenon in photos, saying that the white snow looks spectacular on the bright orange dunes. The snow stayed on for almost a day, which is even more impressive. The last major snowfall – if you can even call it that – hit Ain Sefra in February 1979 when it snowed for a whopping 30 minutes. Just in case you’re wondering, this isn’t a sign that global warming has slowed its course – in fact, the contrary might very well be true. At this time it’s too early to draw any conclusions. If you want to see more photos or follow mister Bouchetata, you can do so on his Facebook page.